This is getting attention. 58 people have recently viewed it. Only Only 1 Fit 5dr HB CVT EX left in stock! left in stock! Excellent Condition, LOW MILES - 47,375! 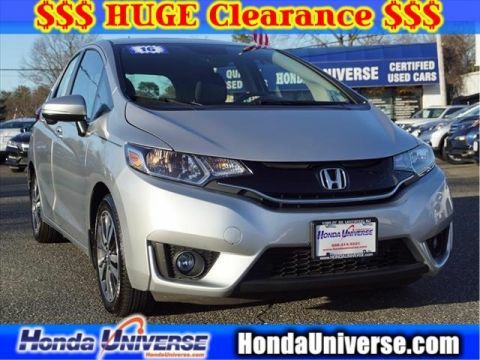 WAS $14,361, PRICED TO MOVE $800 below NADA Retail!, EPA 38 MPG Hwy/32 MPG City! 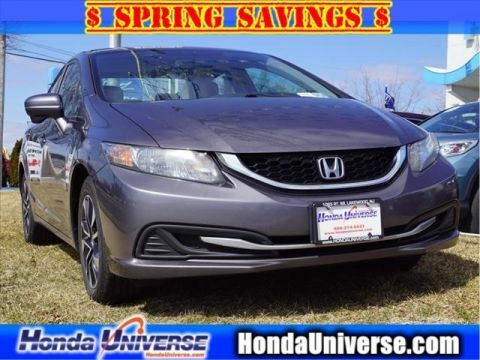 Moonroof AND MORE!======KEY FEATURES INCLUDE: Sunroof, Back-Up Camera, iPod/MP3 Input, Bluetooth, CD Player, Aluminum Wheels, Keyless Start, Smart Device Integration. Rear Spoiler, MP3 Player, Keyless Entry, Steering Wheel Controls, Child Safety Locks. Honda EX with White Orchid Pearl exterior and Black interior features a 4 Cylinder Engine with 130 HP at 6600 RPM*. Non-Smoker vehicle, Originally bought here. 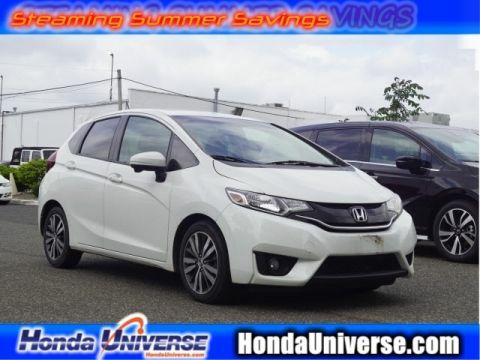 ======EXPERTS ARE SAYING: Edmunds.com explains Unmatched small car versatility thanks to unique rear seat design; quick acceleration; high fuel economy; spacious seating and cargo area; excellent visibility.. Great Gas Mileage: 38 MPG Hwy. ======AFFORDABILITY: Was $14,361. This Fit is priced $800 below NADA Retail. Approx. Original Base Sticker Price: $18,400*. Pricing analysis performed on 4/16/2019. Horsepower calculations based on trim engine configuration. Fuel economy calculations based on original manufacturer data for trim engine configuration. Please confirm the accuracy of the included equipment by calling us prior to purchase. 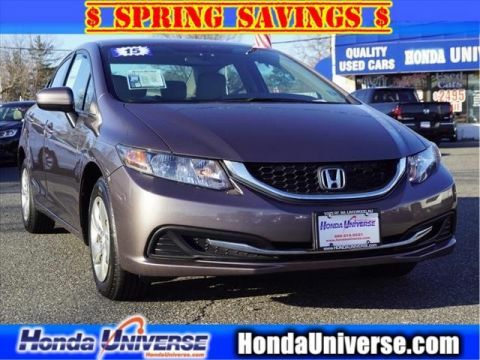 Disclaimer: Advertised prices includes all available Manufacturer’s Rebates/Dealer Discounts. Price(s) include(s) all costs to be paid by a consumer, except for licensing costs, registration fees, and taxes.Documentation Fee $498.Not every consumer will qualify for all rebates and/or discounts. Price will increase by $700 if not financed through Dealer. While great effort is made to ensure the accuracy of the information on this site, errors do occur so please verify information with a customer service rep. This is easily done by calling us at or by visiting us at the dealership. Must print e-Price page to get e-Pricing. Valid 48 hours. **With approved credit. Terms may vary. Monthly payments are only estimates derived from the vehicle price with a 72 month term, 4.9% interest and 20% downpayment.